MORA will hold a training session on February 16 at 10 a.m. at our main office located at 4400 Lakeland Dr., Flowood. 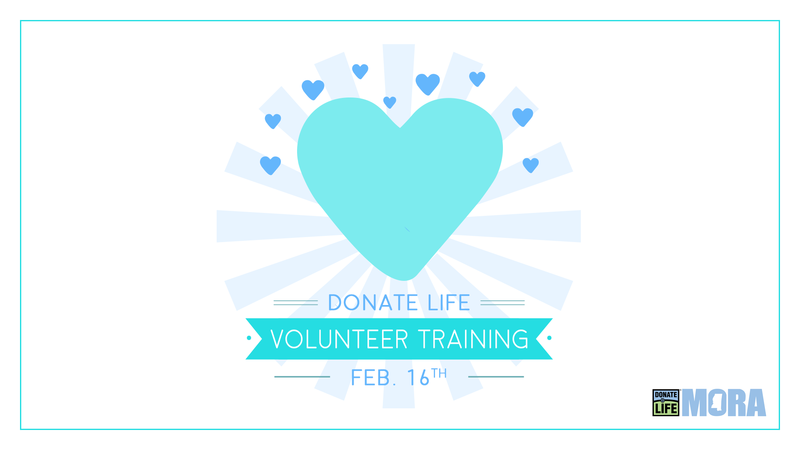 The training is for individuals interested in participating in and advocating the Donate Life mission as a volunteer. The session will last approximately one hour and materials and snacks will be provided. To register, please RSVP to Trisha Byrd by February 13 at tbyrd@msora.org. Help us spread the word about the importance of organ, eye, and tissue donation in your community and by volunteering with MORA events!